Raita is a yoghurt preparation that is often served as a side dish with food. I make it often in varied ways. You can check out veg raita recipe here. 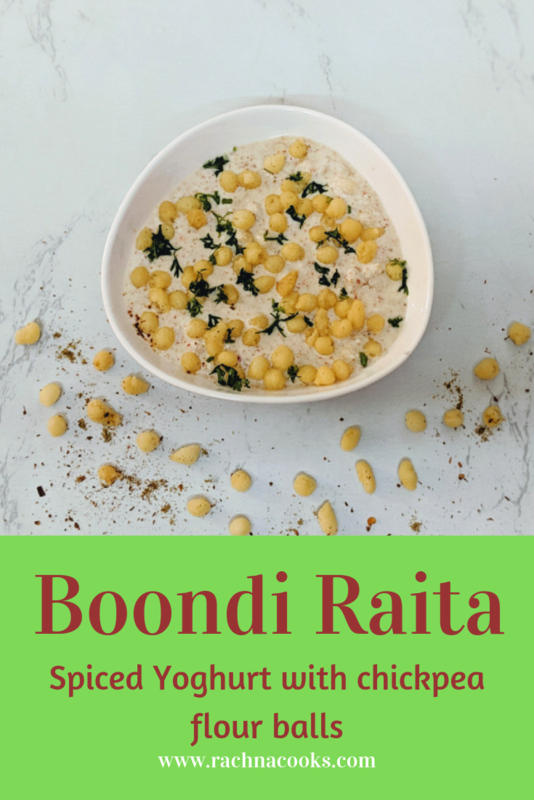 This boondi raita recipe is my husband’s favourite. Mine is cucumber or veg raita in case you were interested in knowing. 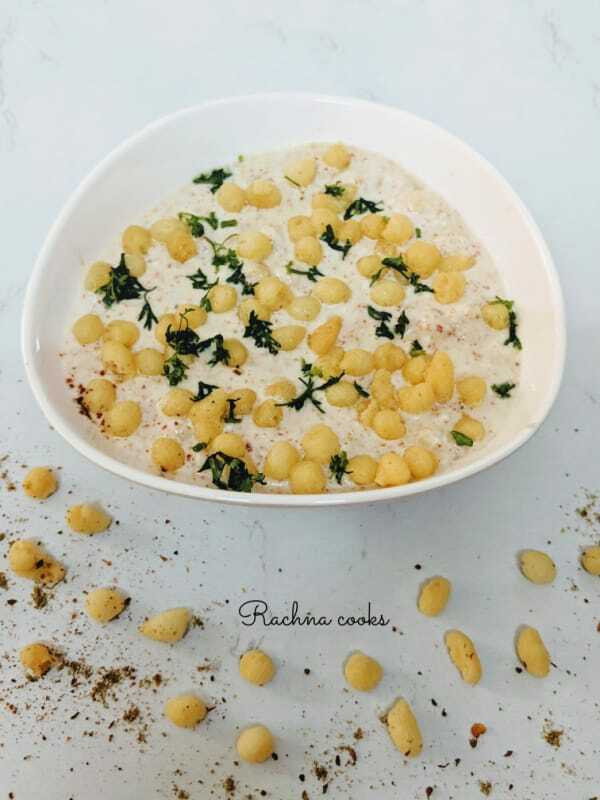 Raita is incredibly quick to make, and you need good quality thick curd or yoghurt to make a good raita. 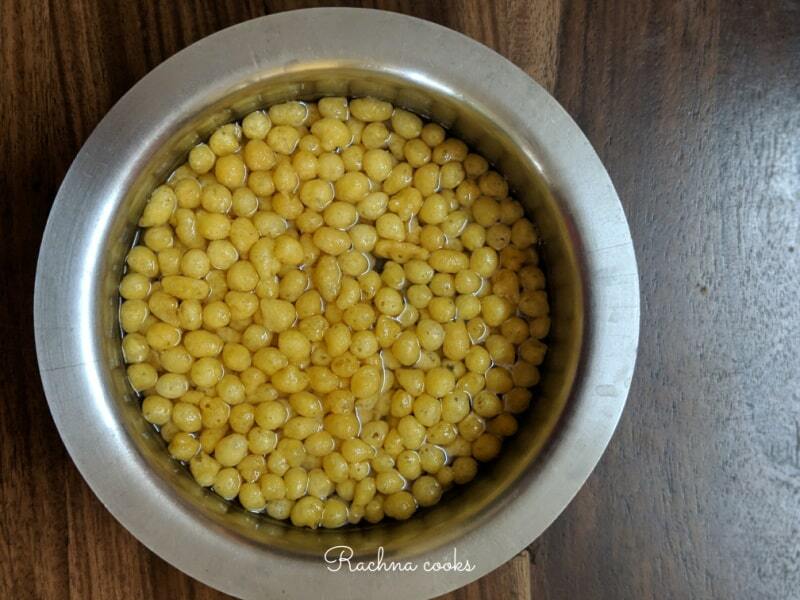 Boondi are crispy balls made of chickpea flour (besan). You can make a batter of chickpea flour with water. Deep fry tiny balls of chickpea flour and set aside. Use it for making boondi raita. I end up buying boondi from the store. You can buy any good brand. Good boondi must be crispy and must not smell of old or rancid oil. Taste them before adding to your raita. 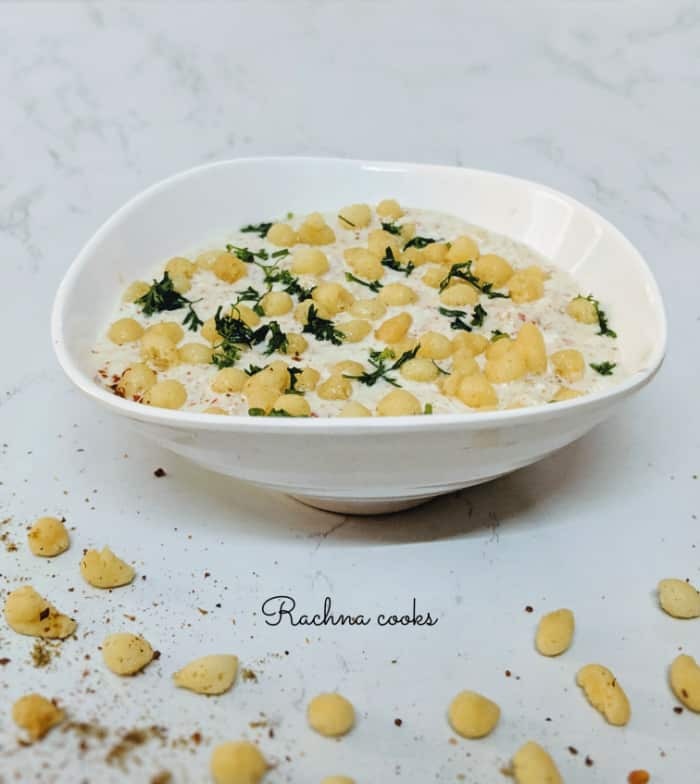 This boondi raita recipe is super simple and tasty. Do try this recipe and make this delicious side dish. Whisk the curd till smooth say about a couple of minutes. Add black salt, cumin powder, sugar, chilli powder, chaat masala and salt together. Taste and adjust seasoning. You may add a little water/milk to thin down the curd but don’t make it too thin. Meanwhile prepare boondi by soaking in warm water for 5 minutes. Squeeze out the water and use the boondi. Add it to the spiced yoghurt. Keep it in the fridge for chilling. Just before serving, garnish with coriander leaves and mint leaves and serve immediately. 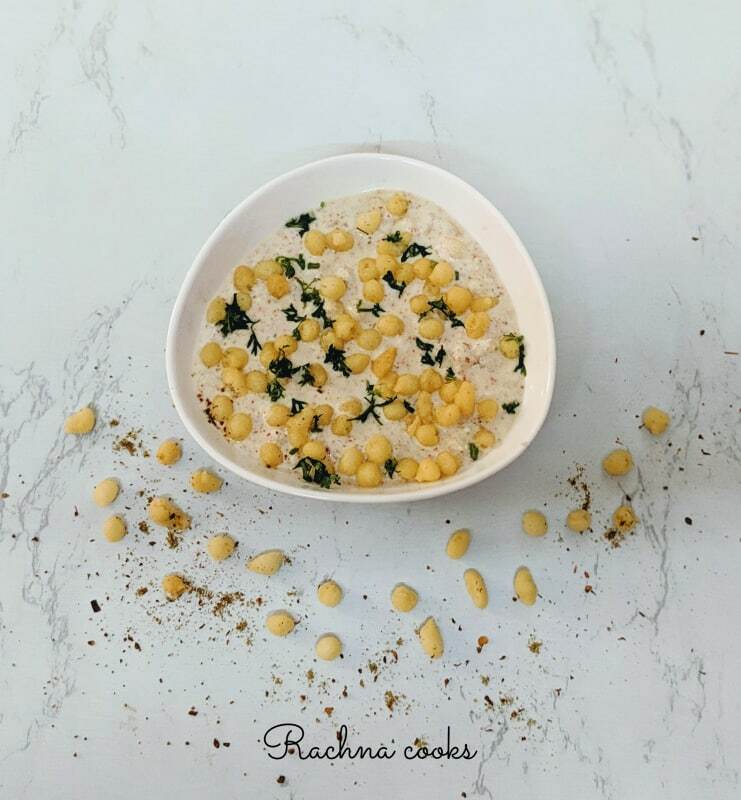 Your tasty boondi raita is ready to serve. I buy store-bought boondi. Buy the one which is not spiced. Always use fresh and thick curd for raita. Sour curd will just not work well. 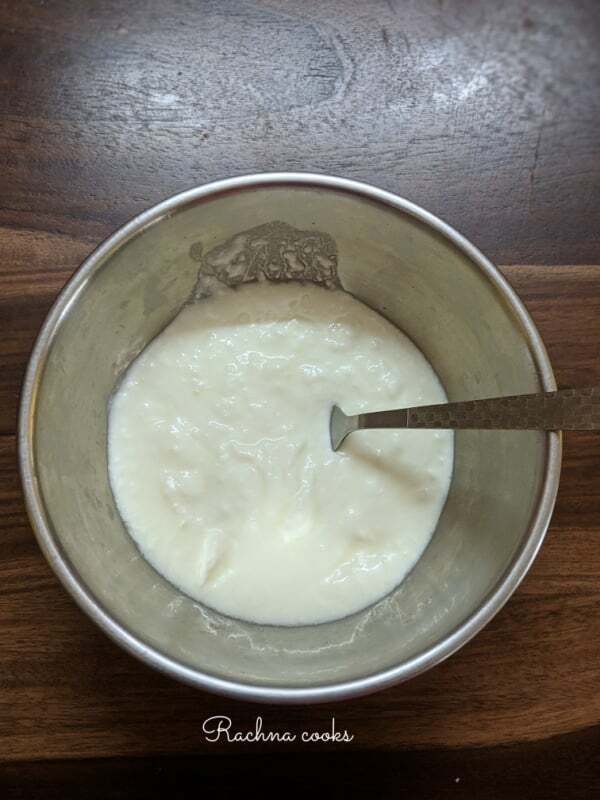 Instead of water for thinning the curd, you may use milk. That enhances the taste of raita. Your Indian boondi raita is ready to serve. It tastes great as a side to any Indian meal. I sometimes have it as is too. Whisk curd in a pan. Immerse boondi in warm water for about 5 minutes. Then squeeze out the water and keep aside. 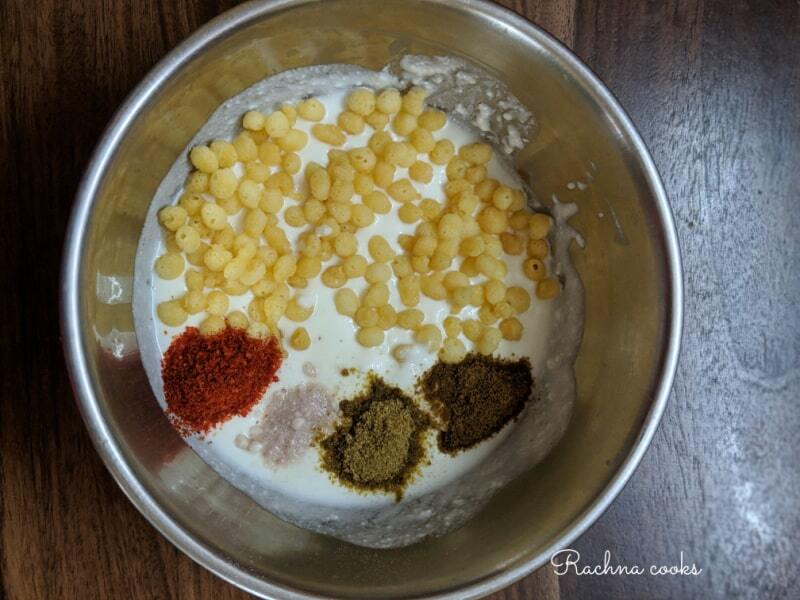 Add the spices and boondi to whisked yoghurt. Chill in the fridge. Garnish with chopped cilantro and mint leaves and serve boondi raita. This is one of my favorite side dishes. In Bangalore, I would always order boondi raita with whatever I ate. And whenever I make raita at home, I prefer to make this one than the usual one with cucumber and onions. This is my fav raita and we have it often at home. I prefer plain boondi though sometimes have used spiced boondi too. I love this dish! 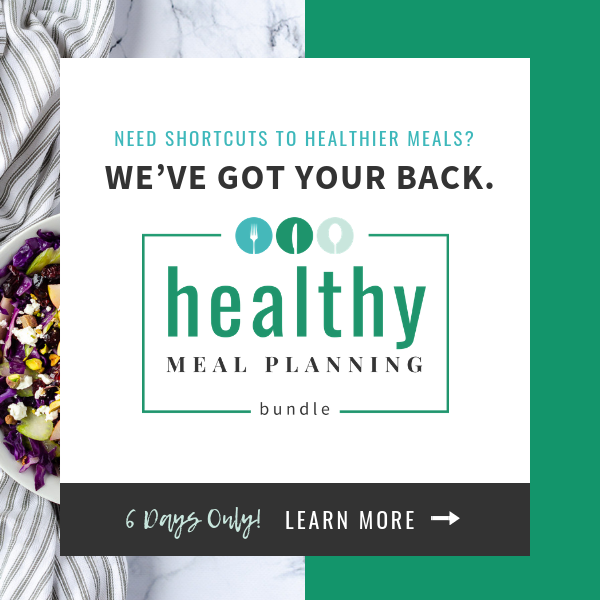 So simple and effortless to make and it goes with almost everything! I am fond of all raitas and make veg raitas too! So great and pleasant for summer! hehe I can imagine. We’ve eaten this one since childhood with relish. I love curd and so mostly I love all curd based recipe like dahi vada, Raita etc. – I relish raita – be it Boondi raita, mixed raita – cucumber, tomato, onion, etc or louki raita. I usually buy Haldiram boondi for making this. Let me know if I should buy any other brand. I LOVE Boondi Raita. But you know what, I’ve never pre-soaked boondis in water, just always directly put it in the raita, so this is interesting. 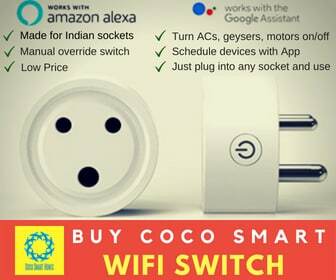 Will try this out next time.